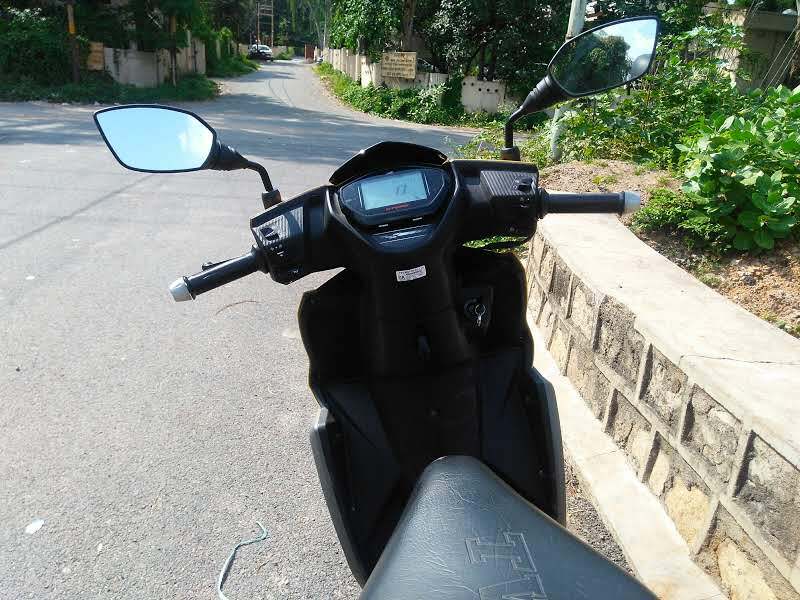 TVS Ntorq 125 » My ownership review after 7500+ kilometres. A few months back, I took a test ride of the NTORQ 125 for writing my first impressions on this website. When I rode the scooter home, my parents loved the styling and features that the Ntorq came loaded with. Not just them, I also fell for the ride quality of the Ntorq 125. And guess what? We decided to buy the scooter. An extra vehicle was needed for home, and the NTORQ 125 felt just the right thing to buy. Today when I’m writing this ownership review, I’ve ridden the Ntorq for more than 7500 + kilometres. 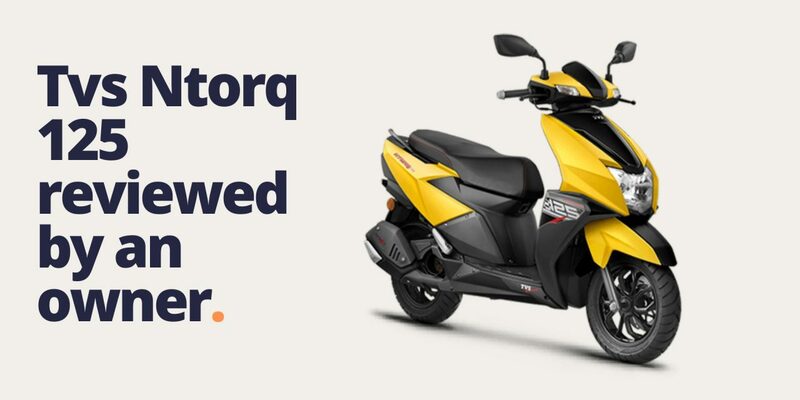 Review Outline: Ntorq 125 is a giant leap in the world of scooters in India. But is it a good scooter to live with? Indeed it is. Can I be totally honest with you? I’ll never enjoy riding an Activa after experiencing the smooth acceleration and sharp handling of the Ntorq. But it’s not perfect, no motorcycle or scooter is perfect. I have a few complains which I’ve addressed in this ownership review. Ye mileage kitna deti hai? That’s the most common question people ask about the NTORQ. So let me clear it today, In the city, the Ntorq 125 gives a mileage of 30-35 kilometres per litre, depending on how hard you ride it. The exhaust sounds throaty and aggressive at full whack, which compels me to ride it hard, and then the mileage drops to 30 kmpl. On the highway, when ridden at constant speeds, it gives a mileage of 40 kmpl max. The engine on the Ntorq 125 is what sets it apart from other scooters. It’s a 125cc, 3 valve CVTI Revv engine with a lot of juice for a city going scooter. The scooter pulls strongly from the mid-range to the top end. Overtaking on this scooter is also easy and fun. 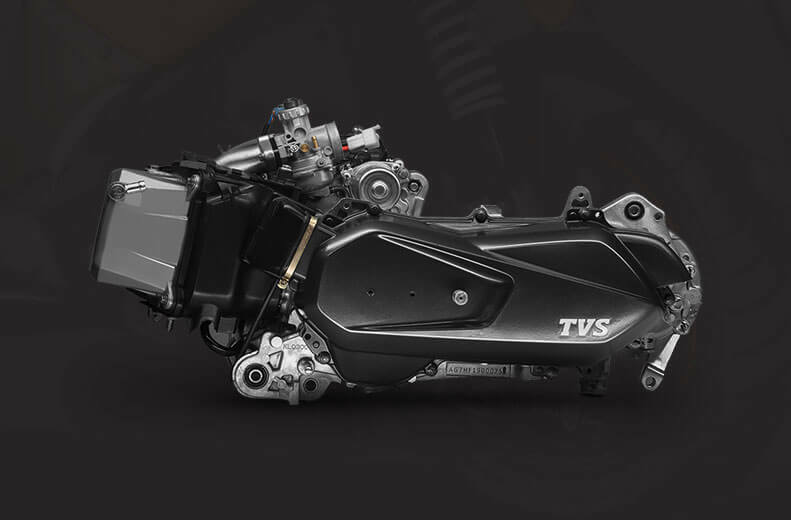 The engine on the NTORQ is undoubtedly one of the best engines seen on an Indian scooter. It can handle a lot of stress. Yes, it’s true, I took the Ntorq on a small tour around Uttar Pradesh. My friend was my pillion, and we rode 1200 kilometres approximately in two days. I was sceptical about taking the Ntorq for touring, but surprisingly, the engine didn’t break a sweat after our journey finished. Needless to say, I poured some fresh engine oil into the engine after that. Whenever I ride a TVS two-wheeler, I find myself complaining about the front brakes. Sadly it’s the same with the Ntorq too. The front disc brake lacks the hasty response that I would’ve appreciated. I’d say that they’re a little weak for my liking. But worry not, they will make you stop in the city at average speeds without a problem. If you don’t plan to ride the NTORQ at full whack, the brakes won’t be a problem for you. As an owner of Ntorq, I’ve ridden the scooter for more than 7500 kilometres, and after all these kilometres, I’ve fallen in love with it’s handling capabilities. It is the best handling scooter in the market. Period. The suspension, the chassis, the tyres, all contribute in making it a superb handler. It leans into corners with the eagerness of a sports bike and maintains its composure from the apex to the exit. Never in my wildest fantasy, I imagined that a scooter could be so enjoyable around corners. On the highways, the Ntorq allows you to remain at 95 kmpl without any effort without any jittering. Even after owning the scooter for 8 months, I’m awed by its high-speed stability. The Ntorq swallows one half face helmet with ease and still leaves room for more. Have a look at the above picture. 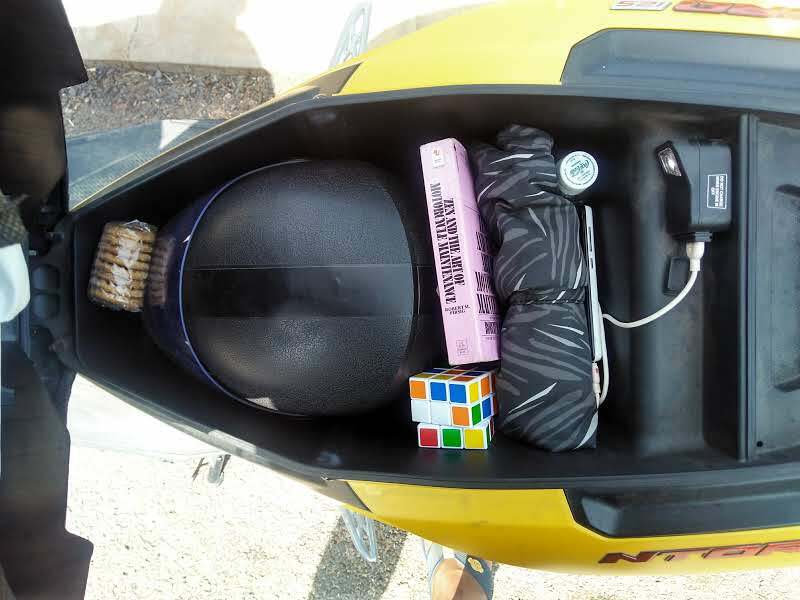 I have a helmet, a phone, a bag, a rubric cube, a pack of biscuits, a book, and a small water bottle. That’s enough space for keeping your camping stuff or shopping stuff. If that is less for you, then you have two hooks in the front too where you can hang your bags. But wait there’s more. You can also buy a gloves box to keep your riding gloves. The modern instrument cluster is one of the most talked about feature of the NTorq. It’s like the black box of the scooter. Connect your phone with the scooter using the app. And you’re good to go. Apart from notifying you about calls and messages, it also shows the remaining battery and network strength of your phone. You’ll find this feature convenient when your phone is charging under the seat. Just by looking at the console, you’ll know the battery level and the network strength. More features on the instrument cluster include sports mode and street mode. In the sports mode, the scooter will measure your top speed. It will also tell you 0-60 speed, lap time and more. Note: There’s no change in power when you change the mode. Currently, the Ntorq app uses Mapmyindia for navigation. Which is decent, but is nowhere close to google maps. I hope TVS integrates their app with Google maps for better directions in the future. Having said that, the navigation works really well. The remaining distance to the location is updated real time, and it has turn by turn assist too. It’s something which Ntorq owners living in big cities will love. I always wanted to see a kill switch on a scooter, and the Ntorq gets one. Talking about headlight, it is super bright and illuminates the road in front in front of you very well. Tail lights and indicators are bright too and smartly placed on the scooter. There’s a USB charger under the seat and small light too. 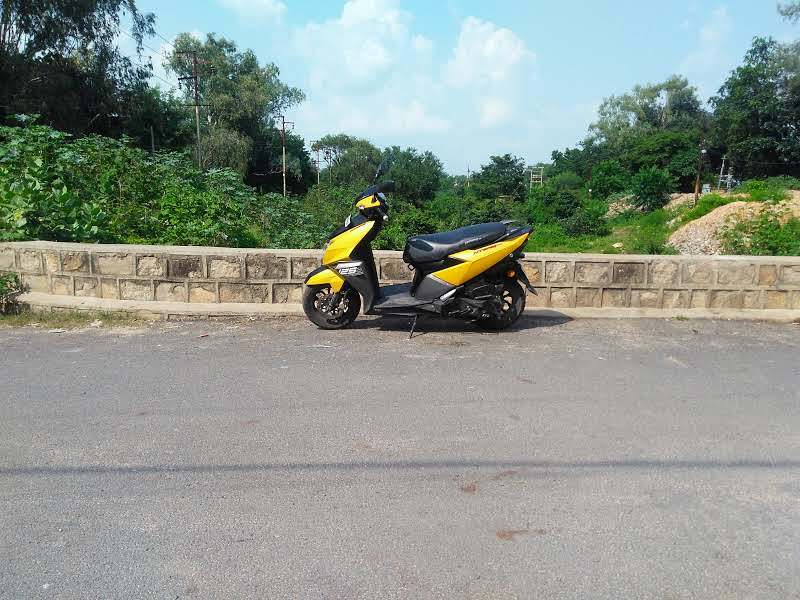 My ownership of the TVS Ntorq 125 has been full of pleasantness so far. But like I said earlier, no motorcycle and scooter are perfect, so let me tell you what I find bad about the scooter. The Indicator switch was not smooth in the first place. Now after three months, it gets stuck often, on either side. The plastic used in the kill switch, indicator switch, self-start button is not up to the mark. Update: My light switch was giving me trouble, and TVS replaced the whole panel of switches on the left handlebar under warranty. TVS could’ve worked on fitting the parts neatly, but sadly they didn’t. I noticed the same thing on TVS Jupiter. The body parts are not fit neatly on both the scooters. Although, they are not evident until you watch with an eagle’s eye. And maybe it’s just the case with my unit. The stiff suspension on the front plays a big role in making the Ntorq a superb handler, but it’s the stiffness that leaves me rattled on bad roads. The front suspension hardly absorbs any bump on the road and you feel it harshness of bad roads on your body. But I think that’s a compromise you have to make for owning something as sporty as the Ntorq 125. And if you wish, you can tune the suspension and make it softer. If you don’t know how to do it, the mechanics at TVS service centre can do it for you. But you’ll lose the sharp handling and corner composure significantly. If bad roads bother you, get the Fego Float Air Seat and you might not want to tune the suspension. You’ve got a good taste. Like us on Facebook. Our daily posts will impress you.